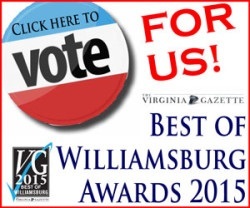 Williamsburg Heating & Air Conditioning is devoted to getting the most out of your HVAC equipment. To get the most out of you heating & air conditioning equipment we recommend having your equipment checked twice a year, one in the spring and another in the fall. Extend the life of your equipment by contacting Williamsburg Heating & Air Conditioning. Williamsburg Heating & Air Conditioning recommends that you have your Heating & Air Conditioning Inspection of your system at least twice a year (spring - fall). 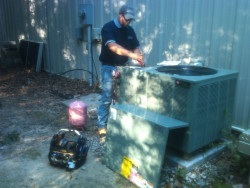 Our HVAC specialists check all the critical components plus your heating and coolant levels. When you call or email please check ask if there are promotions. __ Testing: For excessive vibration, motor winding, refrigerant charge, fan RPM, refrigerant oils, water condition, flue analysis, controls, combustion and draft, crankcase heaters and control systems. __ Inspecting: For worn, failed or doubtful parts, mountings, drive couplings, oil level, rotation, soot, flame composition and shape, pilot and igniter, steam, water, oil and/ or refrigerant leaks. __ Cleaning: Electrical contacts, burner orifices, pilot and igniter, cooling tower baffles, basin, sump and float, condenser, boiler tubes and coil surfaces. 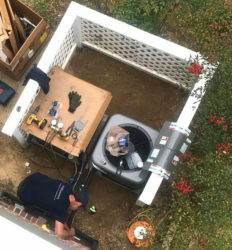 __ Tightening: Electrical connections, mounting bolts, pipe clamps, refrigerant pipe fittings and damper sections. __ Adjusting: Belt tension, superheat, fan RPM, burner fuel/air ratios, gas pressure, set point controls and limits, compressor cylinder up loaders, damper close-off and sump pumps. __ Keep your family happy, healthy and confy!